UZ is to hit the road across a number of locations in North America this September. The “UNDERGRND” Tour follows on from his extensive “The Rebirth” Tour, and will include dates in Phoenix, Orlando, San Francisco, Vancouver and more. 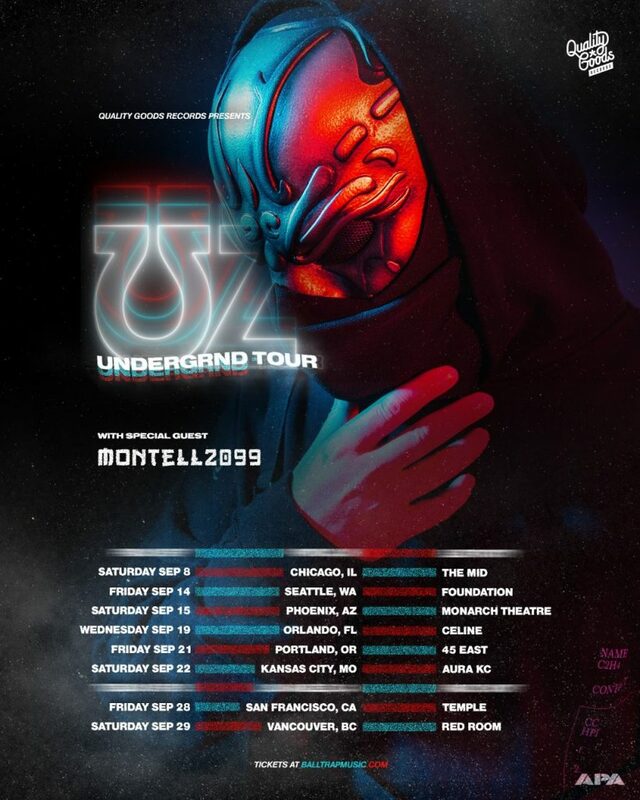 A new collaboration of the same name with Montell2099 is on the horizon, and he will be joining UZ as a special guest as part of the tour. If you’re ready for a bass explosion to round off the summer, be sure to get your hands on a ticket now.